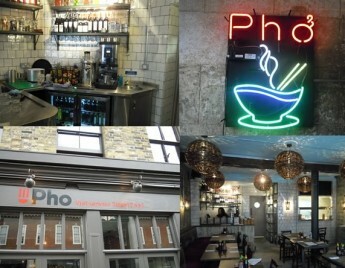 Since opening their first restaurant in Clerkenwell in June 2005, independent restaurant group Pho, brainchild of Stephen and Juliette Wall, has set a precedent for providing authentic Vietnamese street food within a contemporary, vibrant and affordable setting. Stephen & Juliette, along with the rest of their team, have worked incredibly hard over the years to make Pho a success. They believed in the concept from the very beginning so to be opening their seventh restaurant, seven years after the first, is a real milestone and Salix are extremely proud to have been a part of this process. “We expect Pho Spitalfields to be very busy from their first day of opening and have designed the specification for ‘Eat In’ and ‘Takeaway’. We were involved from the very beginning of the project, we surveyed the site, provided designs and then liaised with sub contractors to make sure the framework was in place ready for the installation of the kitchens and bars.